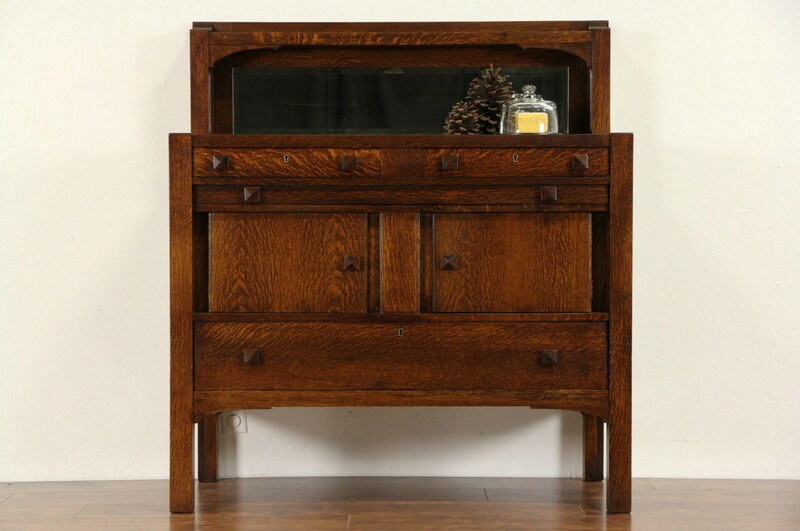 The clean lines of this 1905 era sideboard or server embody Arts and Crafts or Mission Oak design. American made antique furniture, the deep finish is in excellent condition on quarter sawn oak. Drawers have dovetailed joints on solid oak sides. The original beveled mirror has a little "smoke" to show its age. Measurements are 46 1/2" wide, 21" deep, 51 1/2" tall and the top is 38" high.